Christmas is just around the corner but it isn’t too late to pick out the perfect gift for your off roader! Granted, I generally speak of mostly Jeep off roading items but we all know there are many types of off roading vehicles out there so I wanted to make sure I included everyone and every type of off roading vehicle driver in my list of gifts you can get for your special off roading enthusiasts. As every off roader knows, a tire gauge is essential in deflating your tires to the right pressure for the terrain, and then airing back up before hitting the roads home. If your off roader is tired of trying to read the lines that are in 2 pound increments on those pencil tire gauges then this easy to read and accurate digital tire gauges in half-pound increments is for them! Lower the tire pressure for those off-road trips and then accurately re-inflate them to the safe recommended tire pressure for on-road use. These gauges save fuel and extend tire life. Made of high impact plastic. If you haven’t found just the right gift off this list, more great ideas in upcoming blogs!!! If you are new to Jeeps and offroading I want to introduce you to the Hi-Lift Jack ~ a Jeepers best friend. With over a 100 years behind it, the Hi-Lift Jack is a rugged tool in any experienced Jeepers rig for a reason. This jack can take care of situations requiring lifting, pulling, pushing, winching, and clamping. 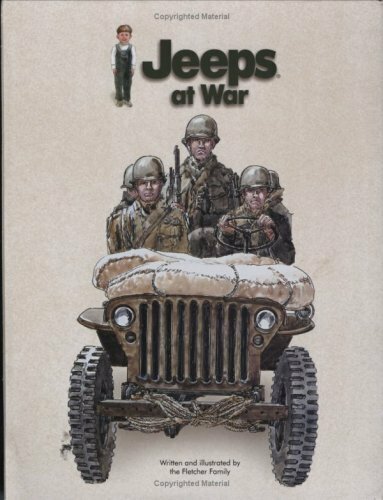 It has been responsible for helping many Jeepers get home. Once the lift and larger tires are installed in our Jeeps a stock jack will not lift the Jeep high enough to change the tire or work on it. The Hi-Lift jack is specifically designed in 42” 48” & 60” heights to suit your needs. It helps make changing a tire on the trail a lot easier. Before using the jack be sure to familiarize yourself with its operating parts and handling capabilities. Always make sure the handle is locked in the upright position before doing anything remotely close to it. I strongly suggest you add this valuable tool to your rig before any off-road excursion. This jack can do about whatever task you throw at it. Include the winching kit and you can easily hand winch yourself out of a stuck situation more easily. The kit includes a winch attachment, winch tensioned, tree strap, D ring, shackle, and gloves. Winch time is reduced significantly using the winch attachment and tensioned together. These jacks have a 7000 pound capacity and will lift, push, pull, hoist and clamp equally! Many Jeepers store their Hi-Lift jacks in different places. I have mine mounted on the hood, its secure and out of the way. Another place to store the jack is either on the front or rear bumper. I also have seen it mounted on the roll bar. Where ever you store your Hi-Lift jack make sure its is in a secure place that will not come loose while offloading, climbing hills or in the event of a roll over. Non-Part or Accessories Off Roading Gift Ideas – Even for Kids to Give! With the holiday season coming upon us quickly, everyone is rushing about to find the perfect gift for their loved ones. If our loved one is into off-roading, I have yet another idea for you. It is not a Jeep part or accessory, rather it is the ability to use their Jeep on trails near you. Off roading is more than just having a vehicle that can stand up to various terrain, there are other things involved as well, such as park permits and sometimes even off roading permits. 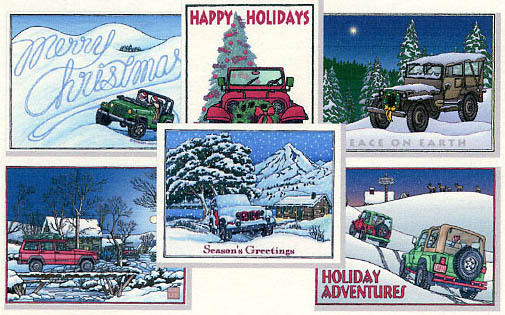 If you know where your off roading enthusiasts hits the trails, a great gift idea is a year park pass if on State trails, membership in an off roading organization, off-roading permit if your locale demands it, and fuel gift cards from local gas stations around you are just a few suggestions. Some free suggestions for kids of off roading enthusiasts’ are coupons for things like a free Jeep wash, interior vacuuming of off roading vehicle, homemade lunch for the trails, window wash, free after trails unload (always do the loading yourself so you make sure nothing is overlooked), and any other numerous tasks a young one can do that is related to off roading. The kids will have a good time making up the free gift certificates. They can use their creativity and it make them as simple as a piece of paper and maybe a few pictures out of an off roading magazine to something more elaborate. No matter what, the true gift is the thought. 15 in Wide-Mouth Recovery Kit Bag by OK Offroad ~ Your Price $24.95!! Hey everyone, in case you may have forgot or didn’t realize it.. Father’s Day is right around the corner. Like just days away! June 20th is the day everyone gets to celebrate Father’s Day and if you have a Jeep fanatic dad, XtremeTerrain has tons of great ideas for you. Although ordering something you may have to give them a print out in a card of what you are getting them to open on Father’s day at this point, but within just a couple day’s after, if you order today, you will have it in hand to give to them personally..
One idea, if you want to be able to give them something right now, consider a gift certificate from XtremeTerrain. If you order a gift certificate from XtremeTerrain you will receive a gift certificate code in an email once payment is confirmed. Your dad can use it immediately on exactly what he wants. Each gift certificate is assigned a unique code, which can be entered at checkout to apply the gift certificate amount to their order. When the Gift Certificate code is entered at checkout, we will deduct the maximum amount available towards the order total. You can purchase gift certificates in $25., $50., $75., $100., $150., $200., and $500. dollar denominations. Looking for just a cute gift, maybe for a child to get their dad? How about Jeep glasses like shown below. Or how about a Jeep ball cap or beanie?? Just browse the XtremeTerrain website and I am sure you will find something that will not break the pocketbook yet still make Dad smile!